For a top-to-bottom deep clean of your home or business, contact our team at CCS Cleaning and Restoration, Southern Minnesota’s most seasoned cleaning professionals. We have over 50 years of combined experience deep cleaning floors, fabrics, tile, and more, and are certified by the world’s most recognized body for certification of carpet and upholstery cleaners – Clean Trust (Formerly IICRC). We’re proud to be a team of highly knowledgeable and skilled cleaners, including two Master Textile Cleaners – the highest level of certification achievable within the carpet cleaning industry! With our advanced certification and training, we can correct soiling conditions that other cleaners may not be familiar with. From red wine and cherry Kool-Aid to ground-in candy or ink, we are able to remove any stain using the time-tested, deep cleaning procedure of hot water extraction. Our method leaves your carpets clean and fresh with a softer feel underfoot. Call us now to schedule a cleaning. Dealing with a larger mess? 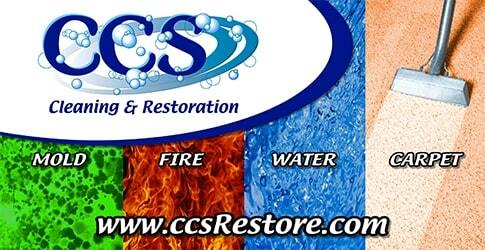 CCS Cleaning and Restoration also provides a variety of restoration services. When disaster strikes, we are there to help you clean up and prevent further damage to your home or business. CCS Cleaning and Restoration is the agency to call for all of your cleaning needs. Our experienced technicians can remove stubborn stains and bring new life to rugs, upholstery, tile and grout, and more! For a free estimate on our residential or commercial cleaning services, please fill out this form. Ready to schedule a cleaning? Give us a call today at 507-334-1774.